There are dozens of complaints in the Google Analytics Help Forums, I just linked to a few, of webmasters reporting their data for February 9th, Monday, is completely missing from the reports. So if you saw your traffic die on February 9th and then come back to life, you are in the same boat as probably hundreds, if not thousands of webmasters. 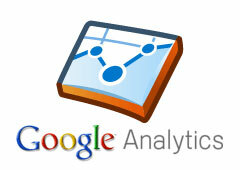 In fact, I checked my Google Analytics data this morning and only have 94 sessions reported on Monday, February 9th. So I am in the same boat as you as well. I am waiting for a comment from a Google representative on the matter, they assured me they are looking into it. Forum discussion at Google Analytics Help Forums. "We're sorry for our unusually bad case of the Mondays. We've fixed the issue and no data was lost. Analytics users should start seeing any missed information by the end of the day." Previous story: Where's My Sitelinks Search Box? Blame Google's Algorithms.